Sterling Silver Magen David pendant with a beveled surface. 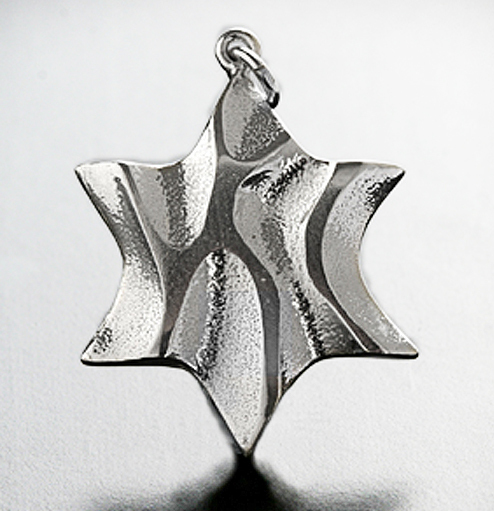 Unique Sterling silver Star of David has an intriguing beveled design. Idit Jewelry is handmade by Jewish Artisans out of 925 Sterling Silver.